World War 2. Some say that it was mankind’s greatest conflict. 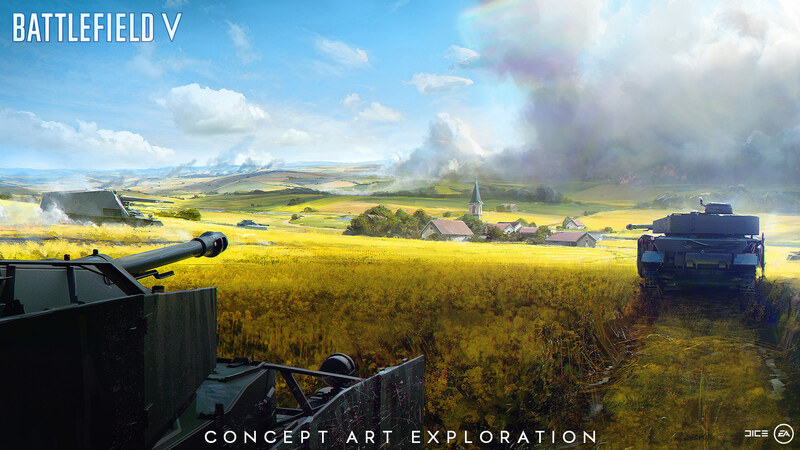 For me and the original team -- who back in 1999 shared a dream to expand the shooter genre by adding tanks, planes, and naval units into one large battlefield -- WW2 was always our first choice. The result was Battlefield 1942, and it kicked off a journey I’ve been a part of ever since. Reliving the moments from our favorite WW2 movies within our own game, while not taking ourselves too seriously, was exhilarating. I remember the playtests on the classic map Wake Island, flying over the landscape of ships, tanks, planes, and soldiers in epic battle, realizing that we had managed to pull this off. Since then, we’ve created several incarnations of Battlefield titles in different eras, each with a different focus. But I must admit: we’ve always yearned to return to WW2. After we entered a contemporary setting that began with Battlefield 2 and continued until Battlefield 4, we once again looked for where to go next. WW2 was on our minds, but we also wanted to pursue World War I and challenge its preconceptions. Daring in hindsight, it was a successful move that resulted in Battlefield 1. Planning the next Battlefield again opened the door for a return to WW2. For a period, there was a fatigue for this setting’s representation in games, and we didn’t want to recycle the same journeys, such as beach landings, and familiar battles. Relying on the Battlefield 1 mantra – “untold, unplayed, unseen” – liberated us from expectations and allowed us to focus on what excited us. The result is Battlefield V.
Instead of revisiting the locations of Battlefield 1942, we decided to explore other places, telling stories of the war that may be unfamiliar to players. 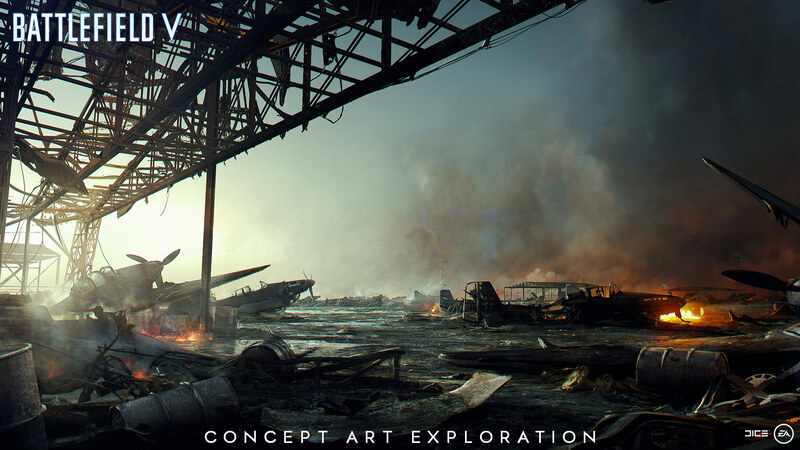 In Battlefield V multiplayer, engagements take place in fields and swamps, on bridges and canals, and among the rubble of devastated cities. Wherever you choose to battle, you’ll do so in locations that were pivotal, though somewhat forgotten over time. 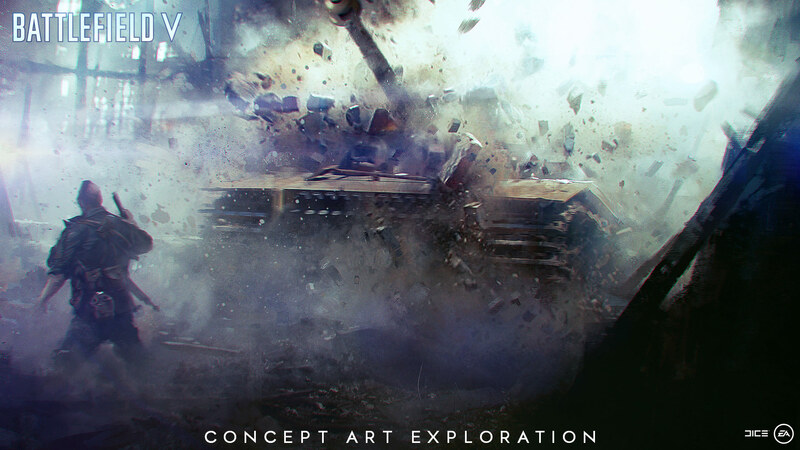 The Reveal Trailer is a good example of this, as it depicts the frantic fights in Northern France in an unexpected time period, early in the war. You’ll experience iconic WW2 elements such as paratroopers dropping from the sky near a mission-critical bridge. However, this time it’s part of the German offensive on the British positions along the Escaut, which later would lead to the dramatic events of Dunkirk. Unexpected locations are just as present in the single player War Stories. 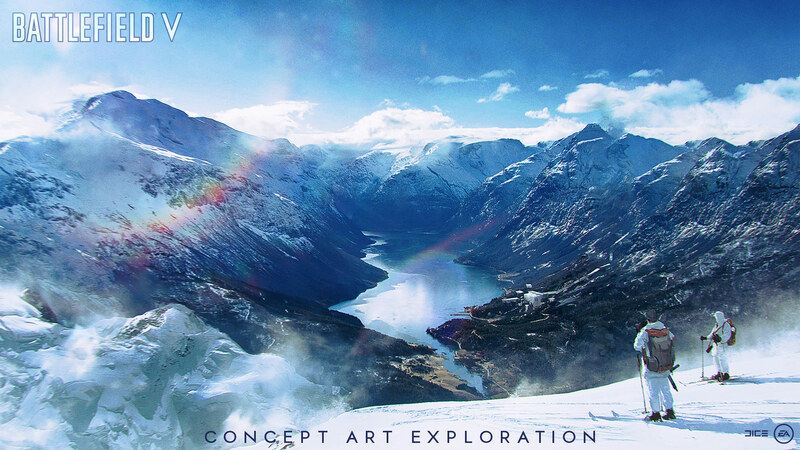 Because Battlefield V was created in Stockholm, Sweden, an early choice for the more exotic locations became Norway, our neighbor in the west. Here we get to unravel the story of a young Norwegian resistance fighter during the German occupation. The story is told not in the grand scheme of saving the world, but from a more intimate perspective: saving your loved ones. For each story we want to find a new angle, a new palette, and new gameplay to ensure that you’ll never know what’s around the corner. These locations are just the start. 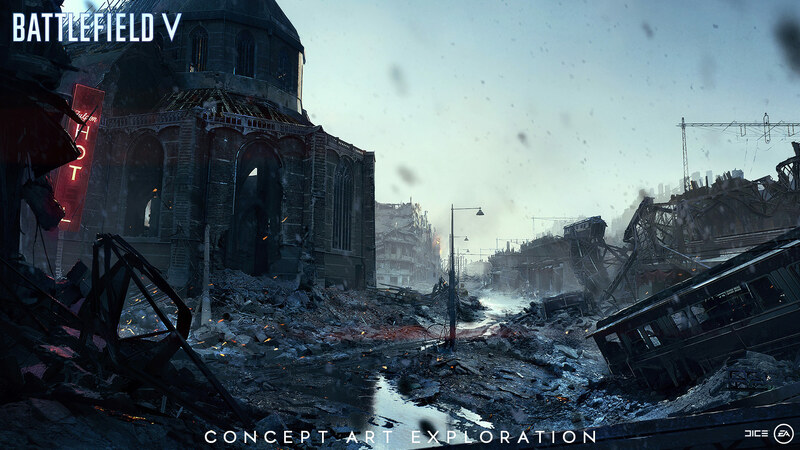 As Battlefield V lives on, you’ll deploy on many more maps and experience across the immense scope of World War 2. 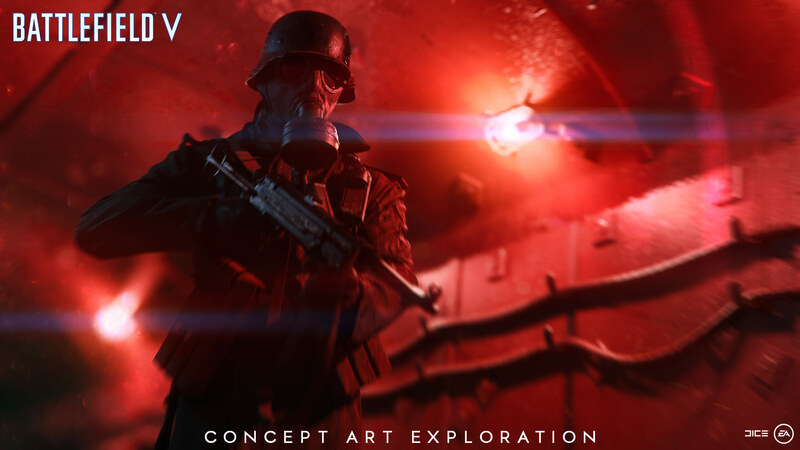 Your journey through the world of Battlefield V starts with your Company – where you can make every soldier stand out. Our intent is that, through play, you will grow with your Company of soldiers and vehicles on your journey of WW2. You can create and customize soldiers, weapons, and vehicles – not only the way they look, but also how they play. The Company gives you a more personal and tactical experience. The boots you step into will belong to your troops, and you can determine how to specialize your vehicles. Decide the look of your male or female soldiers by changing faces, outfits, and war paint – and choose how they play by selecting their class, archetype, loadout, and special skills. 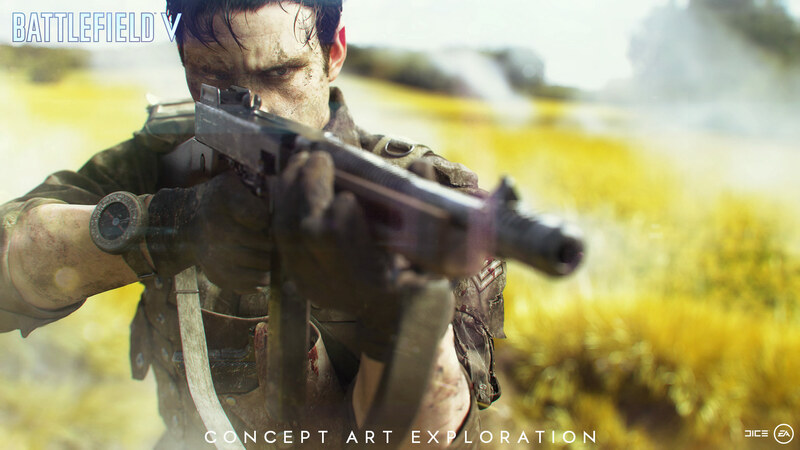 We want Battlefield V to provide both a true and an unexpected WW2 experience. This means striking a fine balance between the unseen and the iconic – which is especially true for weapons and vehicles. We’ve dug down into the evolution of military hardware throughout WW2, looking for new angles to provide a variety of gameplay-impacting tools, while still staying true to history. You’ll of course get to wield classic weapons of the era, but also witness things like devastating V1 rocket attacks on the battlefield. “Necessity is the mother of invention,” as they say – this stands true for the unprecedented technological evolution during WW2. A good example is how the tank chassis often remained the same while the rapid improvements and specializations took place on top and around it. 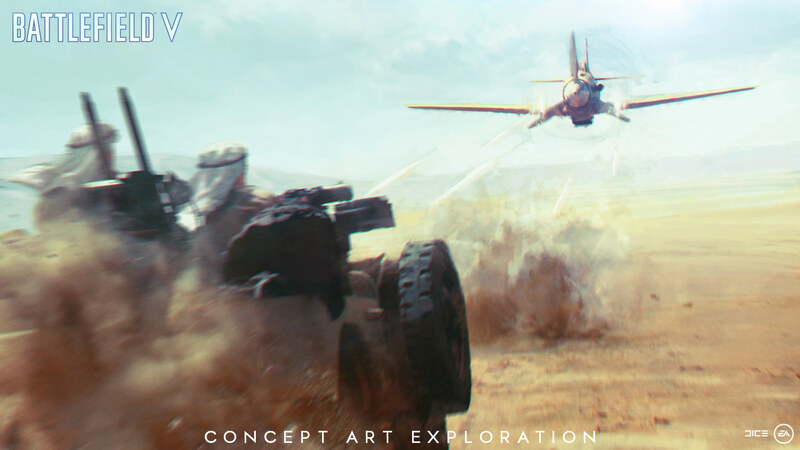 The result will be evident in Battlefield V as you will get to experience a light tank using the same chassis as a mobile Anti-Air unit. Also, we don’t want to portray another stereotypical vehicle in the same location you’ve seen many times before. We want vehicles, weapons, and soldiers to have a story; to come with weight and a history that makes you wonder what they’ve been through. Vehicles were often mobile homes and the scars from endless fights should show. Personal touches and modifications were also common during the war. We’ve implemented this to allow you to visualize your own personalities and gameplay styles in brand-new ways. Looking back at the years of developing this vision of WW2, it’s been quite a ride. I still have a locker full of reference material and old design documents from Battlefield 1942 and Battlefield 1943 – but we deliberately stayed away from those. We wanted to find new ways forward. I cannot wait to hear whether we can make the players out there as excited about the new perspective on World War 2 as we are. It’s time to find out! Join the fight on Xbox One, PlayStation® 4, and PC. Starting on October 11 for the EA Access and Origin Access Play First Trial, October 16 for Battlefield™ V Deluxe Edition early enlister access, and October 19 for the Battlefield™ V Standard Edition.